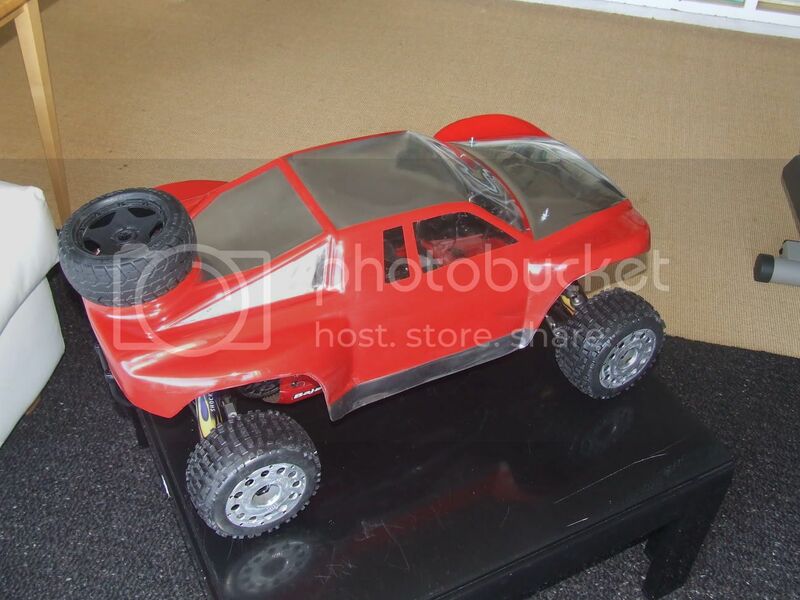 anyone noes any guys here using hpi baja part turn them into monster truck? anylink? Here's an older one of mine, it's the Ramtech body w/ Proline badlands all around. certain ting need longer n modify it... im trying to get sumting like hard plastic as thick as 1mm - 1.5 mm to make the lower n upper arm. im not sure wat it call those plastic sumtimes use a roller..it can be used on cnc miling to cut it out..
but when using baja5b parts front and rear section we would need to moddify the height of the front and rear wheels for a good under chassis clearance about 4inch like the hpi savage has , we would need to re position the shock towers and see if the rear axles will still rotate good without coming out of the output drive shafts . i will proberly look at making my own at the end of this year to start of next year though cos i need lots of money lol. wat u said is true... money..